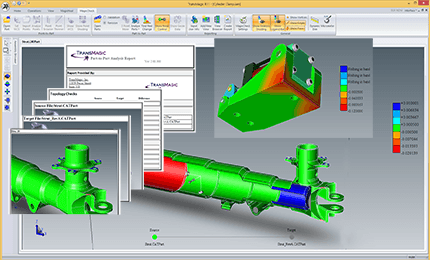 View CAD B-rep or Vis-rep files, measure, dimension, interrogate mass properties, surface area, volume and read MBD / PMI data for estimation. Reduce, optimize and write polygonal formats. SUPERVIEW does all this and more. 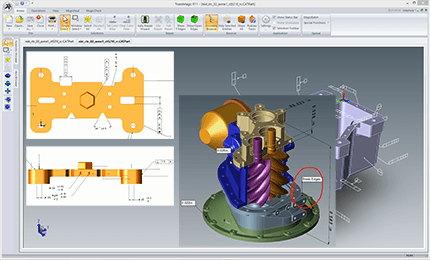 Translate from CAD native and neutral files to native and neutral format such as CATIA, JT, STEP, Parasolid, ACIS and more. 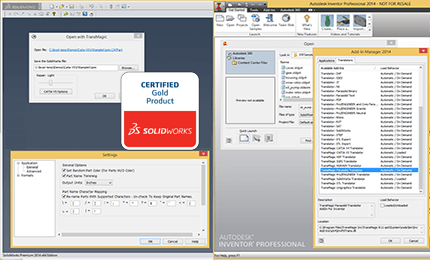 TransMagic Expert has all of the viewing power of SUPERVIEW and the ability to write neutral and native CAD formats. Lite Repair is built in with all TransMagic core products, but MagicHeal gives you Full Repair (extends surfaces to close gaps) and Magic Surface (replaces missing faces), taking care of those more demanding repair situations. When a customer submits a revision, how can you be sure of what has changed? MagicCheck lets you know quickly and easily what changed, where it changed, and how much it changed, helping you to prevent downstream manufacturing errors and reduce scrap parts. 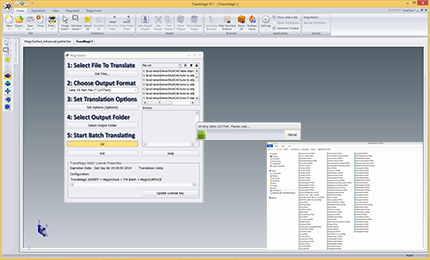 Whether you want to batch translate thousands of files at a time with MagicBatch, or set up automated systems to translate all files into multiple formats simultaneously with COMMAND, TransMagic has your solution. 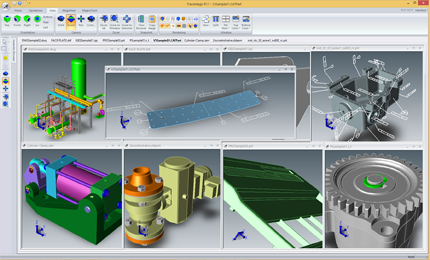 WorkCell 4D reduces the time required to select and export Work Cell components for more efficient and safe assembly line production.